UL Classified: tested, certified and stickered for ANSI Z89.1-2014 Requirements Type 1 Class E dielectric protection up to 20,000 volts - phase to ground. CE EN397/A1:2000+A1:2012. Cold Weather tested to -30C (-22F). Certified by ICS/SGS/INSPEC. A certified helmet is the only choice. Class E Includes Class C & Class G helmet ratings. Meets OSHA standard 1910.135(b). Head Circumference Size: 52cm - 63cm / 20.47" inches to 24.80" inches. 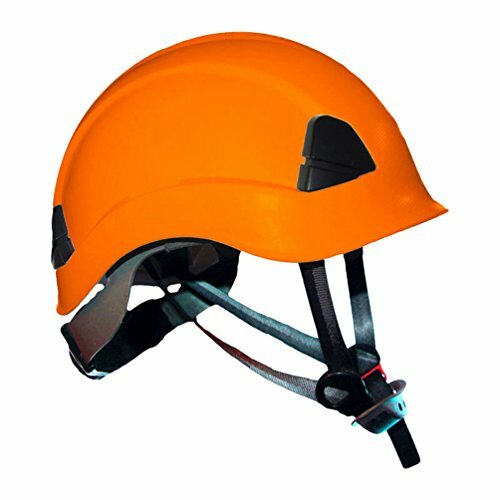 Weight 500g Easily adjust from adult to children's helmet sizes. If you have any questions about this product by ProClimb, contact us by completing and submitting the form below. If you are looking for a specif part number, please include it with your message.